Take the A-49 motorway towards Huelva until exit number 48 and follow signs for Almonte-Doñana. After Almonte continue on the A-483 for about 14 km more and more directions to El Rocío. Take the Rocío-Sur detour, continue straight past the petrol station and continue for another 500 meters to the Puente del Rey Building, on the left side of the road. We are right in a traditional hut with a marsh scene painted on the facade. Two options. The first is to take the A-49 motorway towards Seville until exit no. 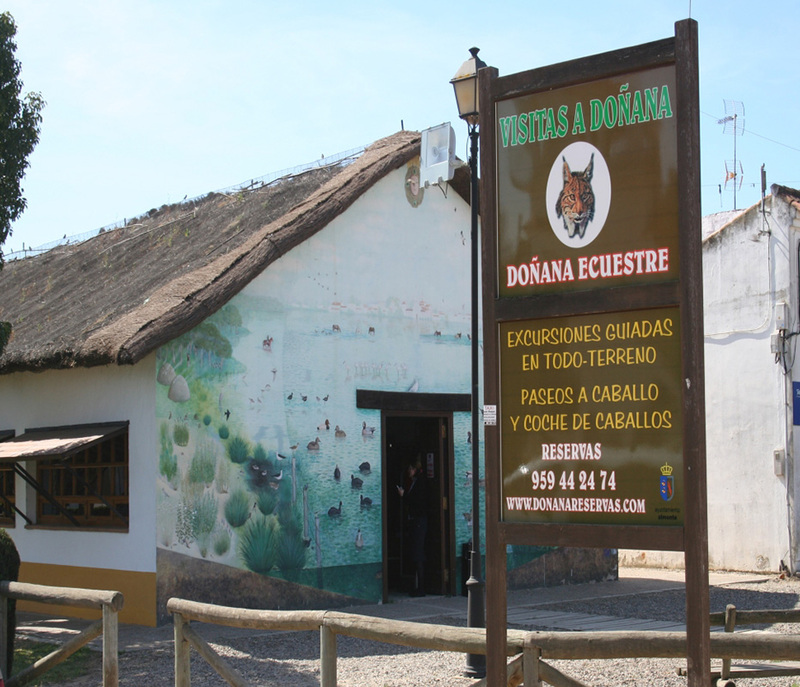 50, follow directions for Almonte-Doñana, and continue on the A-483 to El Rocío. The second is to take the coastal road A-494 eastward to Matalascañas, and then continue north on the A-483 about 15 km further to El Rocío. Take the Rocío-Sur detour, continue straight past the petrol station and continue for another 500 meters to the Puente del Rey Building, on the left side of the road. We are right next in a traditional hut with a marsh scene painted on the facade.